Vinyl is one of the easiest floors to clean. Even at its dirtiest, there's nothing that a soft brush and soap and water can’t handle. Regular sweeping and occasional damp mopping are all you need to keep your floor looking bright and new. Advanced wear layers with stain and scuff resistance and its ability to take on spills make vinyl a perfect choice for an easy to maintain floor. Even no-wax surfaces which rate the lowest on the performance scale, continue to rank high in clean-ability. 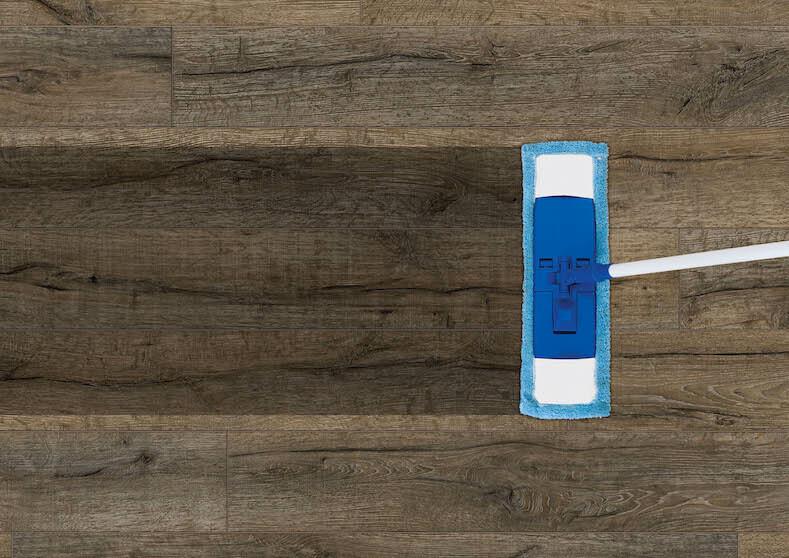 There are cleaners developed specifically for vinyl flooring, and are recommended, but most store-bought products should be fine. The things to avoid are abrasive cleaners and harsh chemicals which can scratch the surface and dull the shine. Otherwise, vinyl flooring can stand up to a lot of abuse, clean up easily and still look fantastic.